There are the times when there's a requirement of restoring your iPhone, for example, you need to restore iPhone from an iCloud or iTunes backup after updating to iOS 12, you use iTunes to restore iOS 12 firmware on your iPhone, but the process gets stuck on restore. Being unable to succeed in it is seriously a problem where people get annoyed. This very post is going to talk about the problem. We will provide you some tips and fixes you need to carry out when your iPhone stuck on restore. Hope we could help you ending up the problem and you'll come to fruition of restoring after reading this article. You need to check your iTunes version and update it to the latest version if your iPhone stuck on restore. 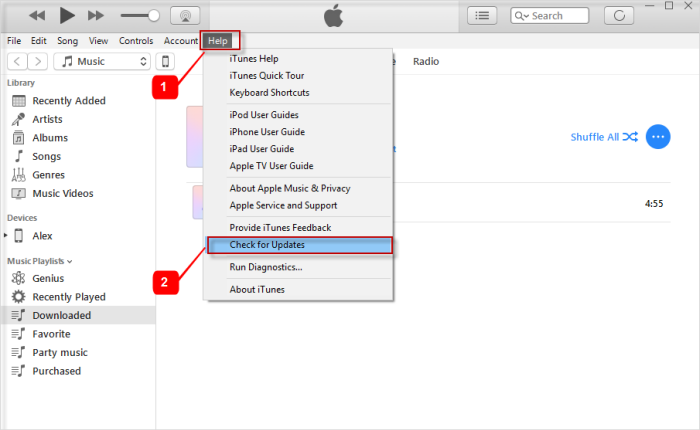 The steps that are required to be carried out for updating iTunes are given below. Open your Mac and launch App Store on it. 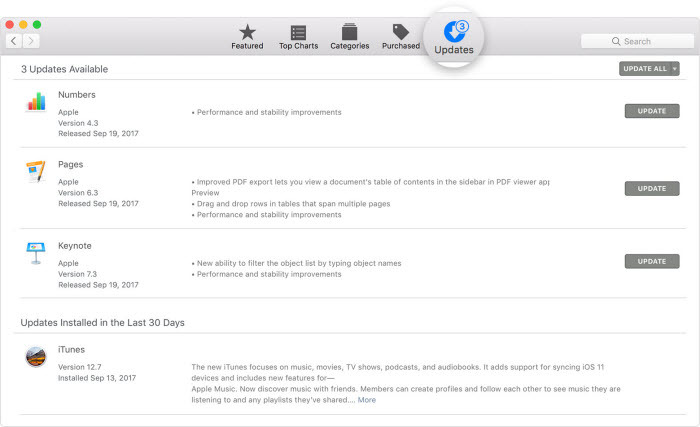 Notice the 'Updates' option at the top of App Store interface. You will find if there is any update available. Then, get your iTunes updated. Run iTunes in your PC and click on 'Help' menu. Now select 'Check for Updates'. Install the new version if any update is present. On updating iTunes, if still your iPhone stuck on restore, probably there is a server problem. 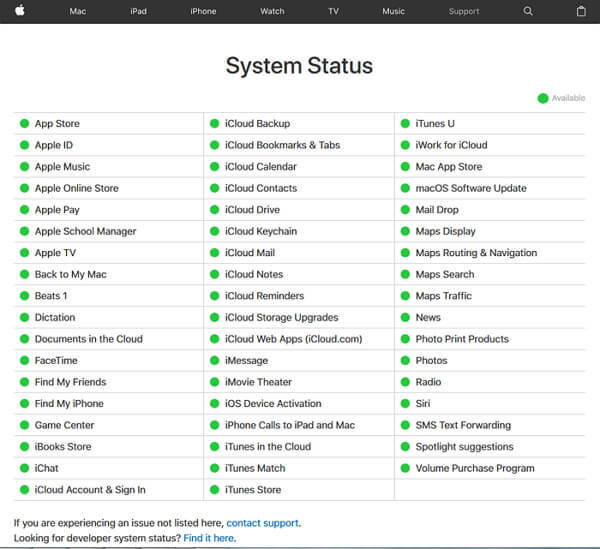 To check this, you need to go to the Apple System Status page and check the status there. If there is no such trouble after when you check the system status, check out the next tip to resolve the problem. Here is the another tip that you need to try when your iPhone stuck on restore. Since restoring takes a very active internet connection, a slow network will create problem when you try to restore your device. Hence, you need to check your internet connection if it is stable or not. If not, make sure to try with another Wi-Fi connection. If after trying and checking the above tips, you still get the problem, you need to try another reliable method. When your iPhone gets stuck on restore, iMyFone iOS System Recovery (iOS 12 Supported) will surely be of assistance. This is a reputable tool and keeps its loyalty when it comes to restoring iPhone into factory settings as well as fixing any sort of iOS issues. It makes sure to perfectly work with the Windows and Mac OS easily. 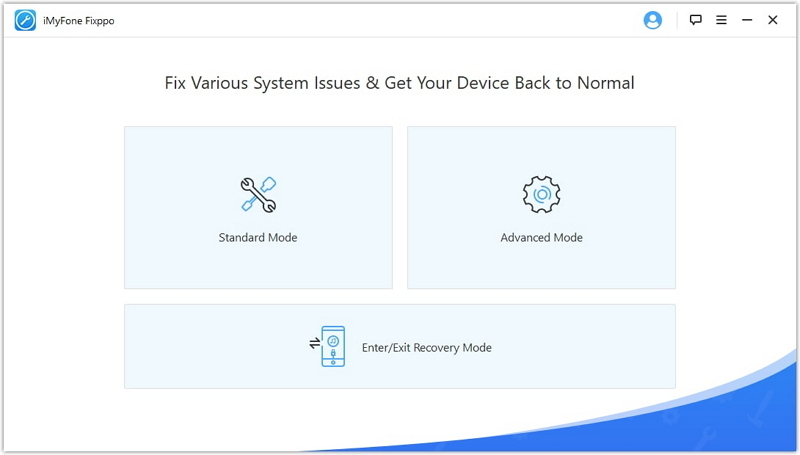 Also, there are three different modes associated with 'Fix iOS System' feature, and the options "Standard Mode" and "Exit Recovery Mode" to help the users fix the problems like iPhone stuck in recovery mode, iPhone stuck on Apple logo, iPhone stuck on spinning wheel, iPhone stuck on boot loop and so on without data loss. To restore your iPhone to factory settings, here are the steps that are needed to be followed. 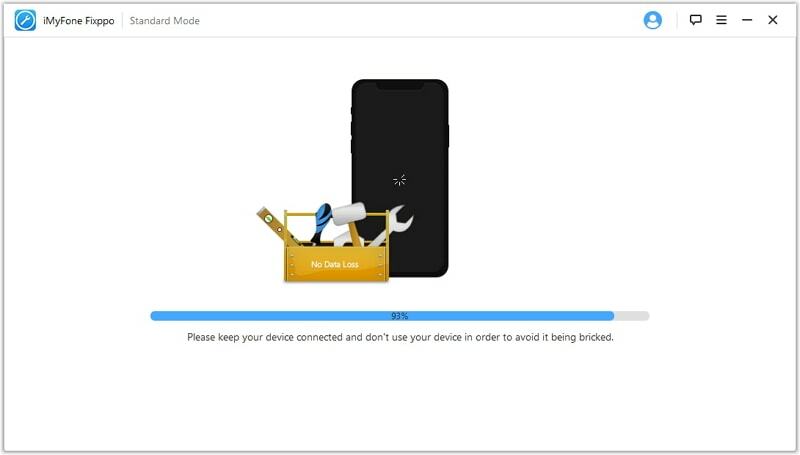 Step 1 – Firstly, run iMyFone iOS System Recovery on your PC and then connect your iOS device to the PC via lightening cable. Now, select 'Advanced Mode' from the main screen. 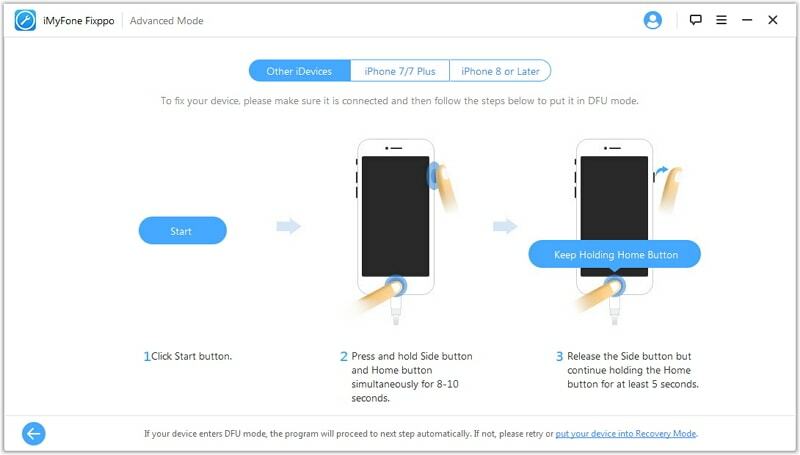 Step 2 – Now, hit on the 'Start' button and follow he steps that are displaying on the screen to put your iPhone in DFU mode. 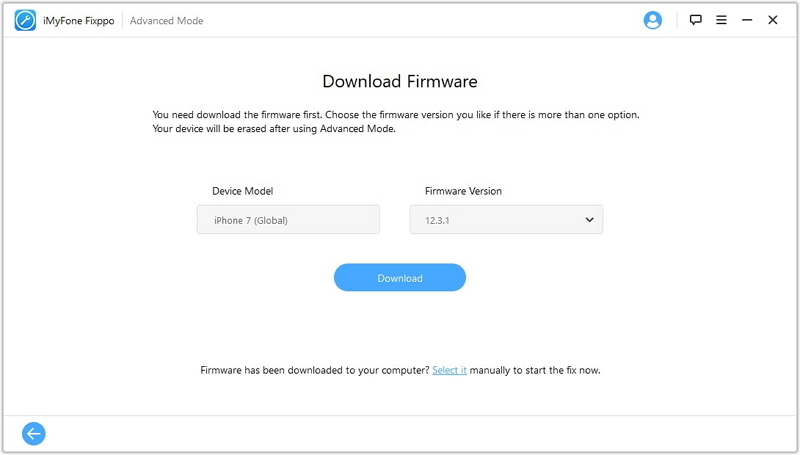 Step 3 – When the device gets in DFU mode, the program will detect it automatically giving you the compatible firmware for your device. Click on 'Download' button for this and wait for the finishing of download. Step 4 – When the firmware is downloaded, click on 'Start to Fix' button. Now, your device will be completely restored and the program will install the matching firmware too. If you iPhone is stuck on restore while restoring your iPhone from an backup , we have solution for that too. 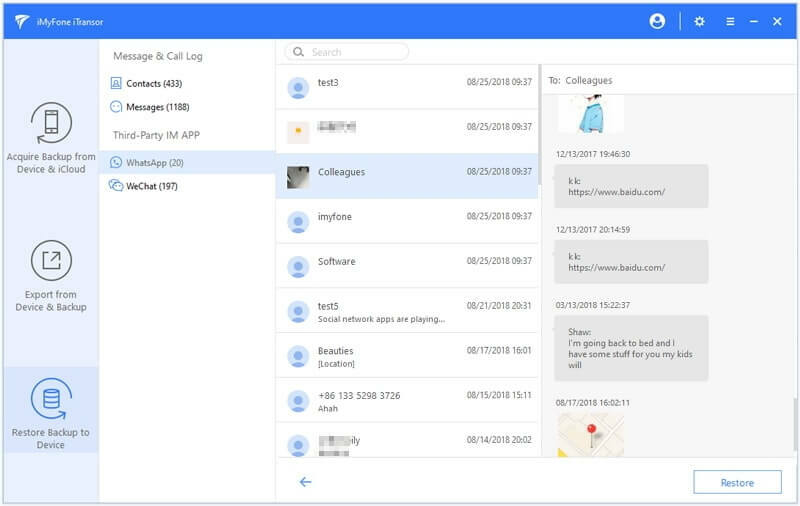 There is another product from iMyFone which is iTransor (iOS 12 Supported) – a tool aims to backup and restore iOS data flexibly. With the help of this tool, you will be simply allowed to selectively restore your iPhone from iTunes/iCloud/ iTransor (iTransor is also a free backup tool which enables you to backup an individual app) backups. Putting differently, you can choose to restore an iPhone backup fully or partially via iTransor. 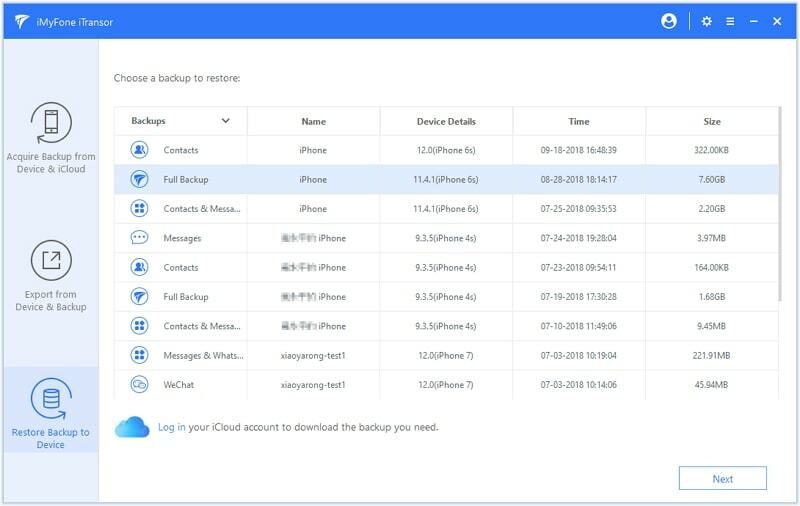 If you want to restore certain app such as Messages, WeChat, WhatsApp, Contacts, you can restore only the data of that app, and merge the data on your device with the data in your backup files. 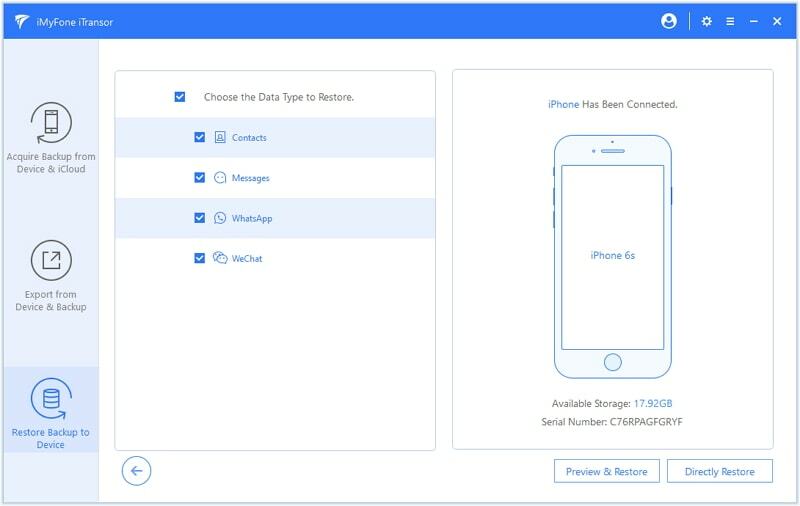 If you've restored your iPhone to factory settings using iOS 12 firmware and want to restore partial data to your device, this tool will be very helpful. The steps on how to selectively restore your iPhone from a backup are as follows. Step 1 – Download the program as the first step and install it later. Subsequently, launch it and from the left panel, choose 'Restore Backup to Device' option. Step 2 – You could notice the screen where all your backups will appear in the tabular form. You need to select one backup. If you want to restore from iCloud backup, you need to download it from iCloud first. Click 'Log in' button to do that. For instance, we are choosing iTunes backup. After that, hit on 'Next' button. 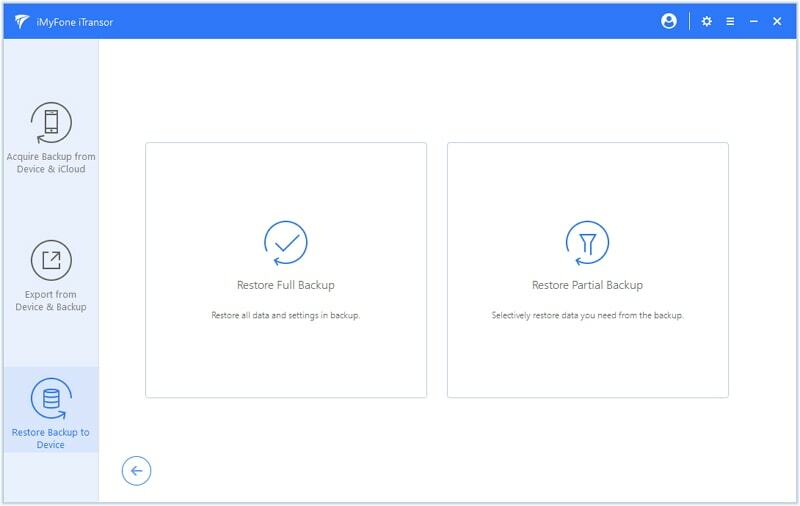 Step 3 – You will now get two options 'Restore Full backup' and 'Restore Partial backup'. When you choose to restore partial backup, you will be asked to choose which types of data you'll need to restore. Before restoring, there will also be the options 'Preview & Restore' and 'Directly Restore'. If you want to preview the data before restoring, you can choose 'Preview & Restore'. Step 4 – After that, the program will start to scan your backup and show the details of the app(s) you choose. Now you can click 'Restore', and you will be offer with 2 options 'Merge' and 'Replace'. 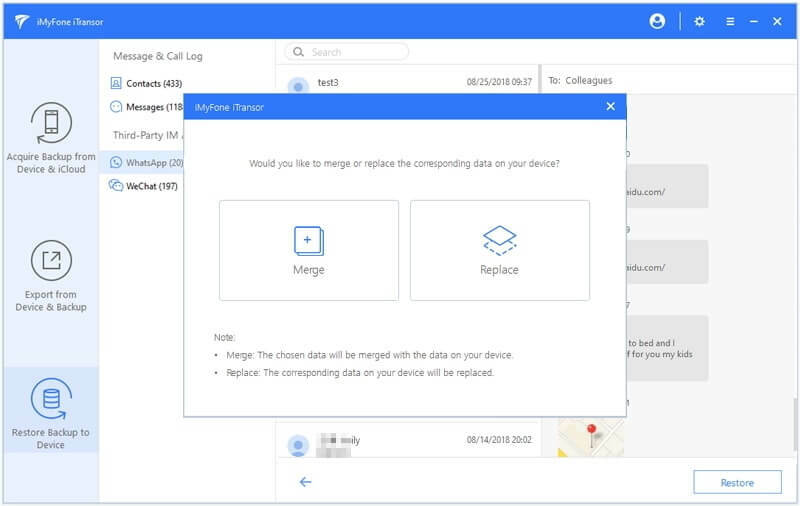 You can choose to merge the data on your device with the data in your backup files according to your own needs. Then the process will be completed soon.